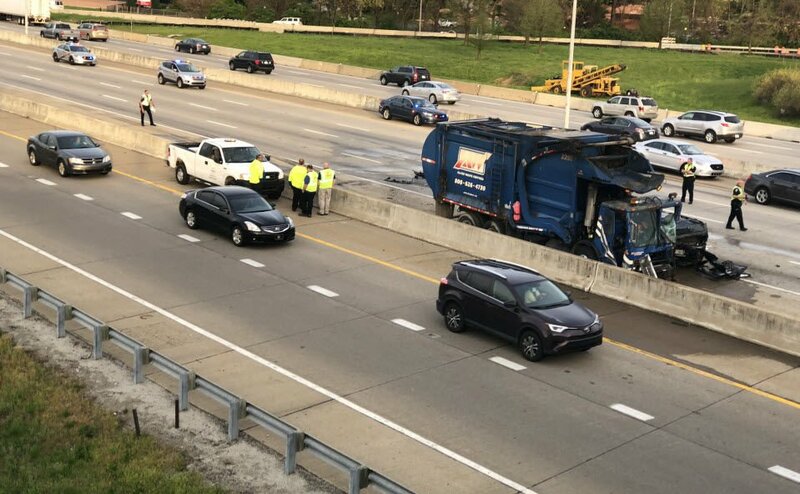 LOUISVILLE, Ky. (WDRB) -- A woman is dead after a crash that shut down all four lanes of I-264 East at Breckenridge Lane Wednesday morning. 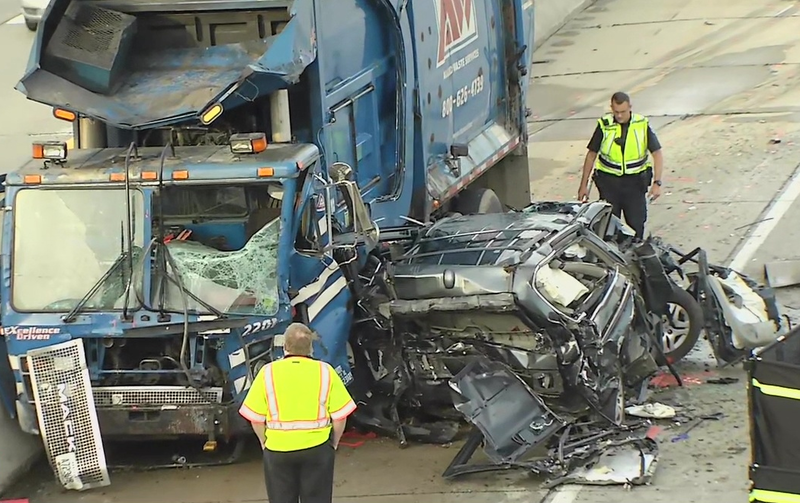 The crash happened around 6:45 a.m., and involved a semi truck, a garbage truck and a minivan. LMPD Dwight Mitchell says the garbage truck struck the rear end of a minivan, causing the minivan to crash into the back of the semi truck. The Jefferson County Coroner's Office said Robin Cardine, 54, was pronounced dead at the scene. She died of multiple blunt force injuries.